We the ANC like the status quo. Ask not what we can do for you but what you can do to keep unethical leaders eating at the trough. Don't vote for change. Vote for more of the same! Vote ANC! The accumulation and escalation of acts of corruption associated with the ANC and its government continues to disturb South African society. Not least, it upsets people who always held the organisation close to their hearts and voted for it during elections. If some of these supporters are now reviewing their allegiance to the ANC, others appear to have already given up on it. This was confirmed during the organisation’s disastrous performance in the 2016 local government elections when the organisation lost control of the Johannesburg, Tshwane and Nelson Mandela Bay metros. The massive threat #EskomLoadshedding poses to our economy and the stability of our country cannot be overstated. The number of commissions that President Ramaphosa has established since coming to office a year ago show clearly that corruption has continued unabated. The President deserves to be congratulated, not only for commissioning these investigations but also for ensuring that their proceedings are open to the media and the public. Hair-raising testimony that implicates important ANC personalities has been presented at the State Capture Commission chaired by Deputy Chief Justice Raymond Zondo; the SARS commission on governance irregularities, chaired by retired Judge Robert Nugent; the Public Investment Corporation investigation led by former Supreme Court of Appeal, Judge Lex Mpati; and at the NPA commission led by former Constitutional Court Judge Yvonne Mokgoro. 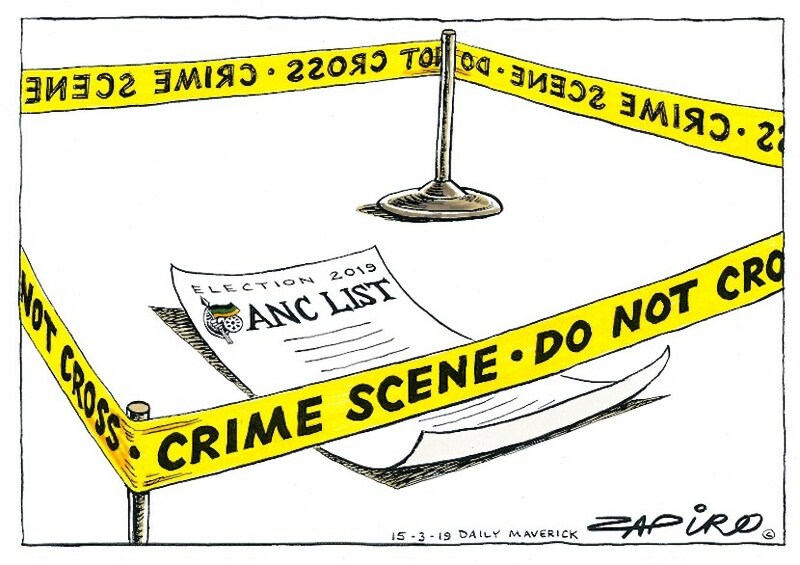 The unmistakable narrative in all these investigations paints a picture of unrestrained corruption whose main actors are persons closely connected to government, and in some instances, senior ANC officials. It is against this background that we, long-serving members of the African National Congress, request comrades who have been implicated in corruption reported in the commissions of enquiry and elsewhere, or were during the past five years adjudged to have behaved unethically by, for instance, lying under oath, to reconsider their present nomination for Parliament or the provincial legislatures. By withdrawing their names from the electoral list, they will be saying to the public at large that although perception is not always reality, they would rather await the opportunity to have their names cleared than serve under a cloud of suspicion. We believe that this would be an admirable show of character. We have been made aware that [some] of the leaders have done so already. We salute them.